I can’t resist these. 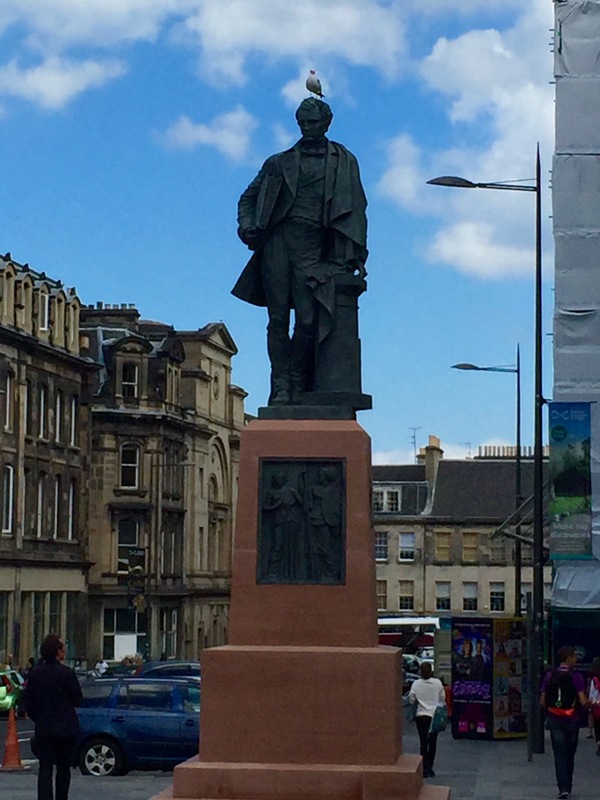 This happens to be William Henry Playfair – I had to look it up, since no name on base. 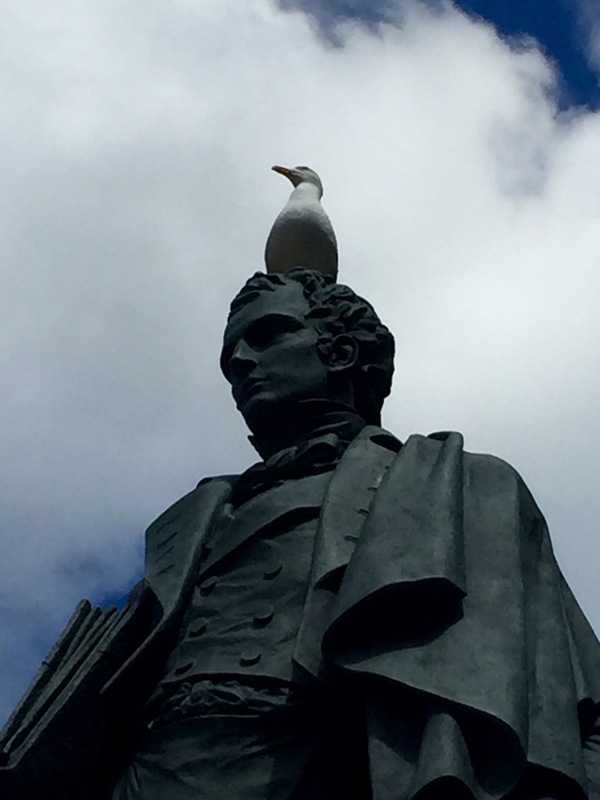 He was architect of the Museum, and is credited with making Edinburgh known as “the Athens of the North.” Most interesting, this newly-created statue has bumped one of William Chambers who will be refurbished and relocated somewhere close by…. The street is Chambers Street. Looks like the pigeon will have one more head upon which to perch. 21 Jul	This entry was published on July 21, 2016 at 5:37 pm and is filed under Uncategorized. Bookmark the permalink. Follow any comments here with the RSS feed for this post.